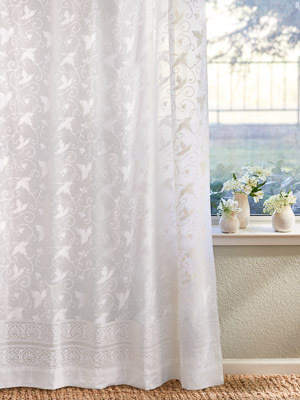 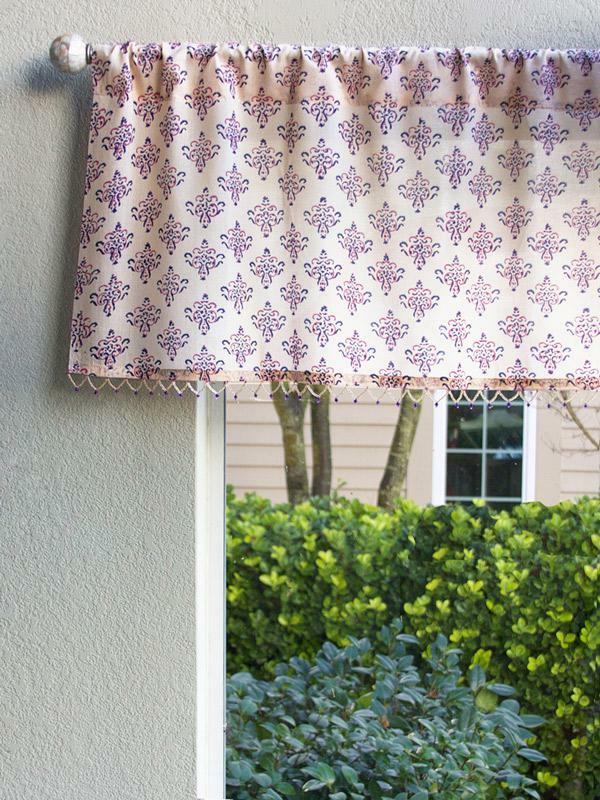 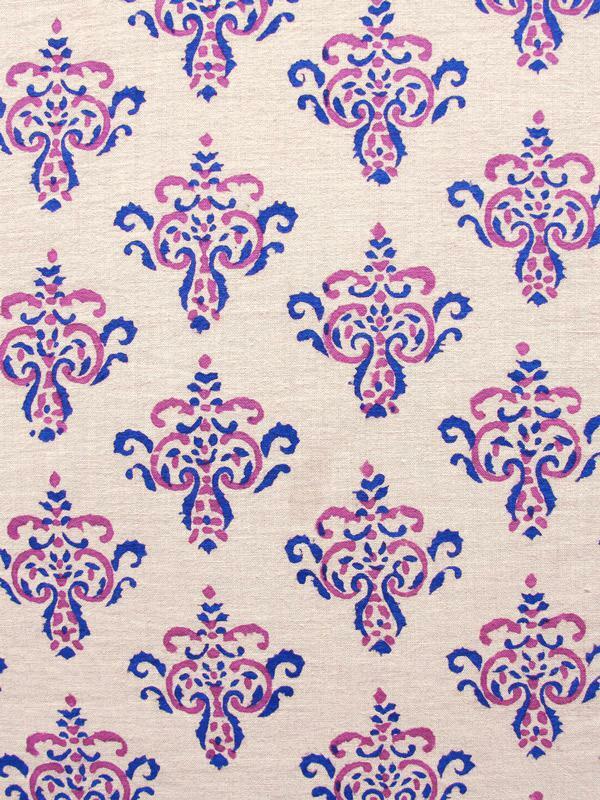 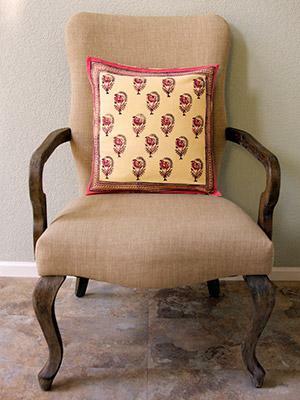 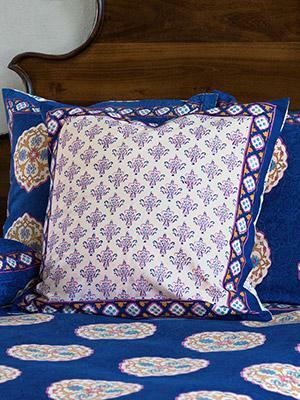 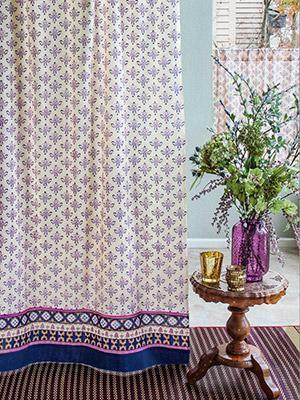 Delicate, stylized fuchsia and blue motifs patterned across a pale vanilla tan ground. 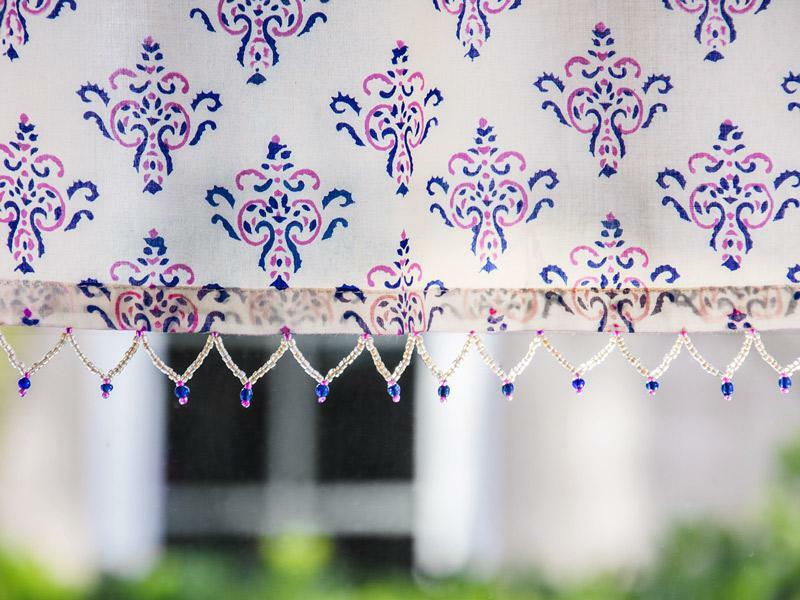 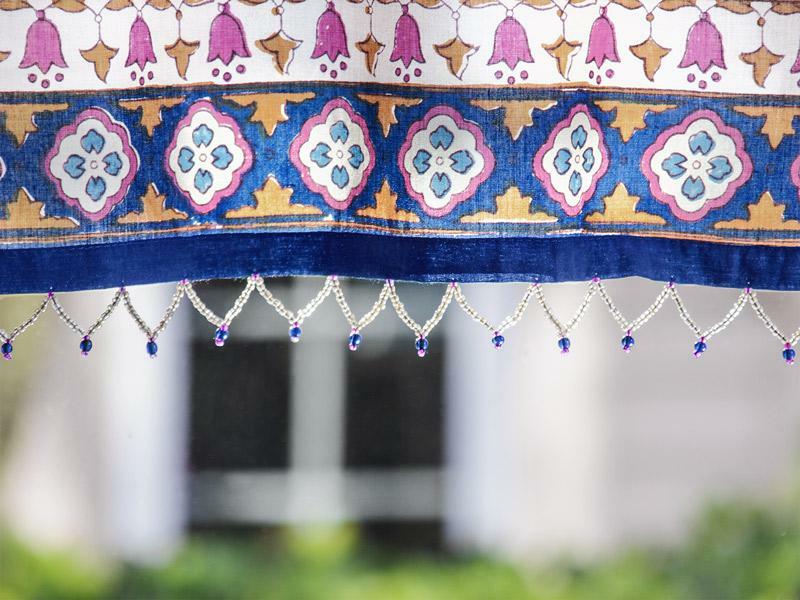 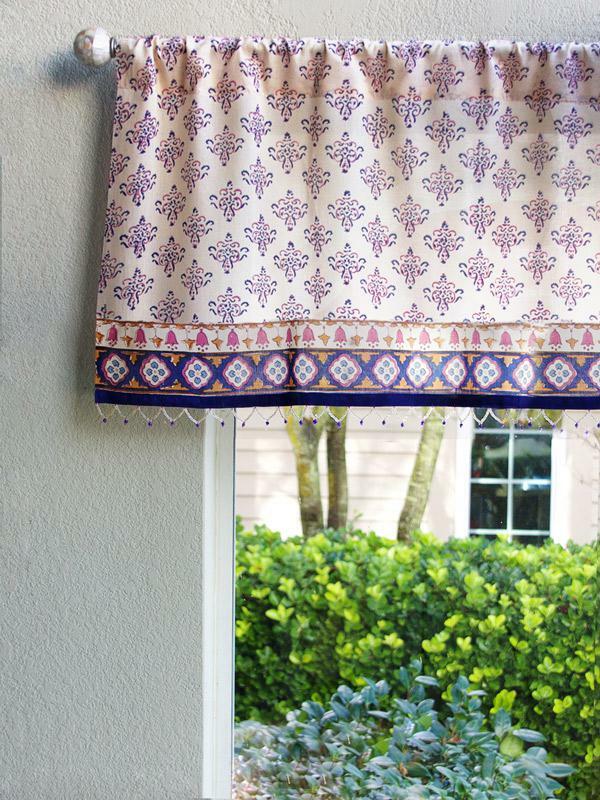 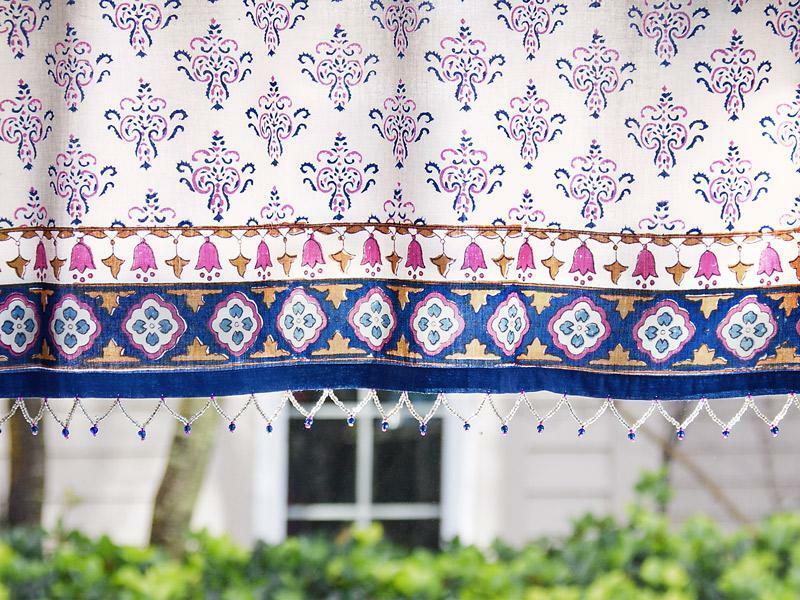 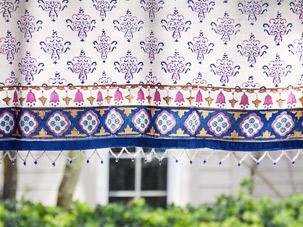 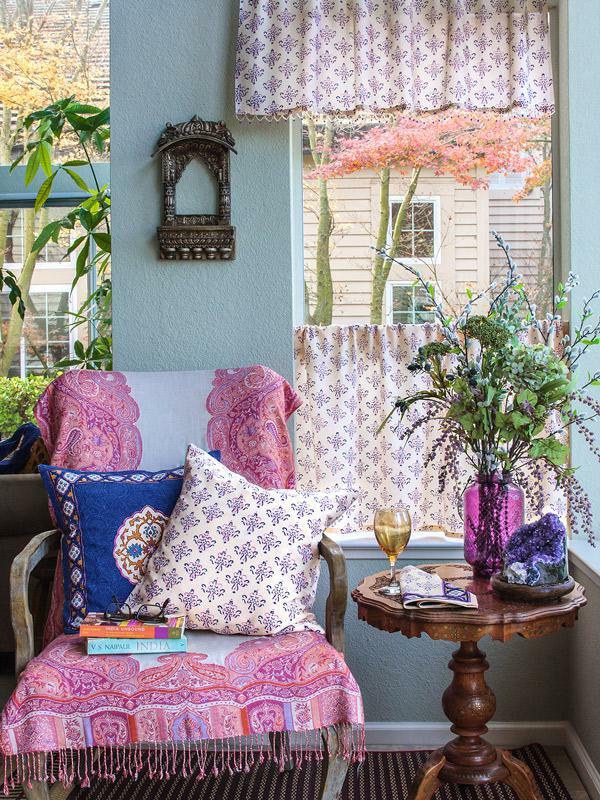 Translate your love for anything Moroccan and boho to your home with our tan, vanilla and blue beaded window valance. 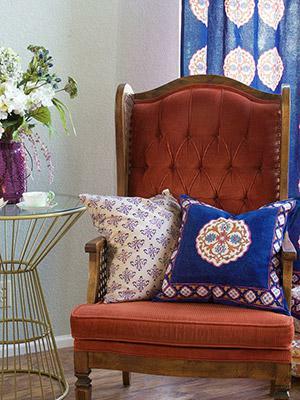 Scour flea markets for ... [ read more ] vintage gold frames, tile tables, silk floor cushions, poufs and paper lanterns to round out your bohemian look.